Hmm.. I just played version 0.91 but it's still pretty bugged. After getting to the village and roaming around looking around I started to get a loading error every minute "failed to load: img/pictures/people3_8.png". The only way to make it go away was to restart again. I loaded my last save, and I dunno if it was because of that, but it seems like the events were kind of switched around. After Hans joins me and we are to go hunt, I get a dialogue saying it's late and I need to go home. When I enter the house I got an event scene that I think was supposed to happen after Cent kills the behemoth. And then when the scene ends a new event started right away but it was the event I got when I first entered Cent's house and we saw his sister for the first time. The game does look good though. The maps look nice and the story seems good too. I hope you'll fix the bugs and upload a more stable version of the game. I would love to give it another go sometime! ^^ Good luck! Disqualified - Missing face graphic, game unable to continue. Thanks for pointing out the bug. I played it a couple of times before submitting it to make sure everything goes well. But I admit my switches and event pages are kind of a mess. I think I'll redo the whole switch management from the start. 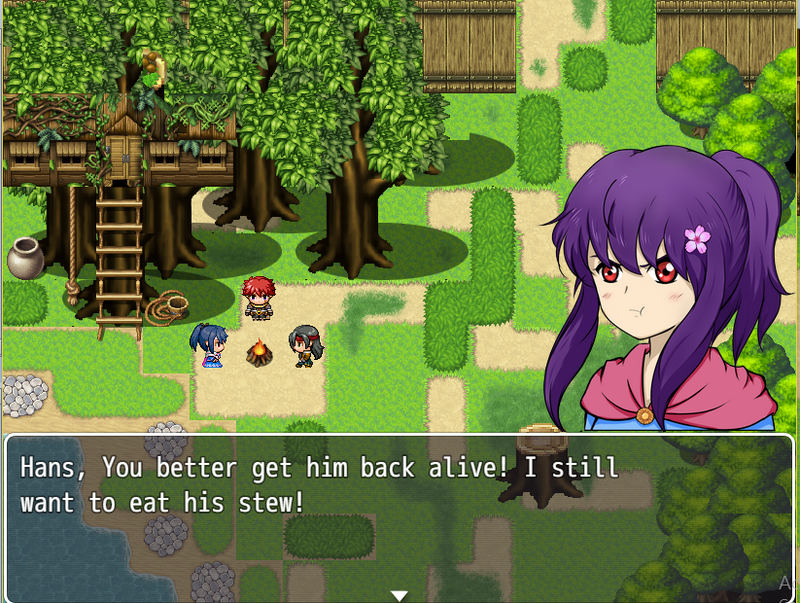 The temanco is from before I get hans's face, I must've also forgot to fix some old events. I'm sorry about that. Also, thank you for the mapping feedback, I thought the stairs was cool, but yeah, now that I look at it it looks weird to have in town. I'll delete/fix it. Also the passability. The portal is as you've just guessed. 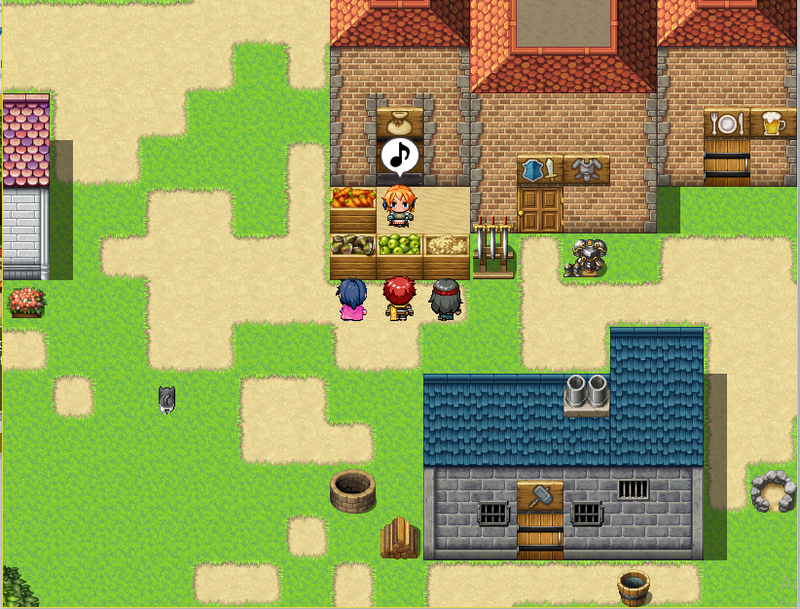 I was playing around and thought it can be used for later events and thought it was cool to left a magic circle in front of a magic shop. But I guess it is missleading. I'll hide it. Yes, I do need some proofreads. As for the writing I made it that way to show that cent shows different behaviour in front of his friends and in front of his sister. But I guess that also a bad idea. I'll make it more consistent. There is a plugin to read external txt files?! I'll look into it! Mixing the rtps does come out ugly, It'll come with more custom faces and blank npcs next. You have no idea how much this comment means to me. I know about this gamejam halfway through it. 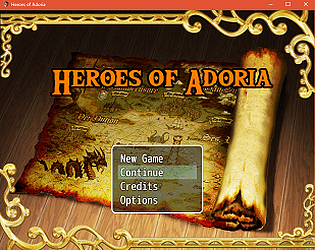 Bought the rpgmaker, learned and tinkered with it, and made "Heroes of Adoria". Although I enjoyed every seconds making it, I have no idea how well/bad it is. After the deadline I played others works and they all so good and well made. With the lack of comments I thought it was a complete failure and giving up on it. I'm really happy to hear that someone plays it, quite enjoys it and say that it has potential. I will continue this project! 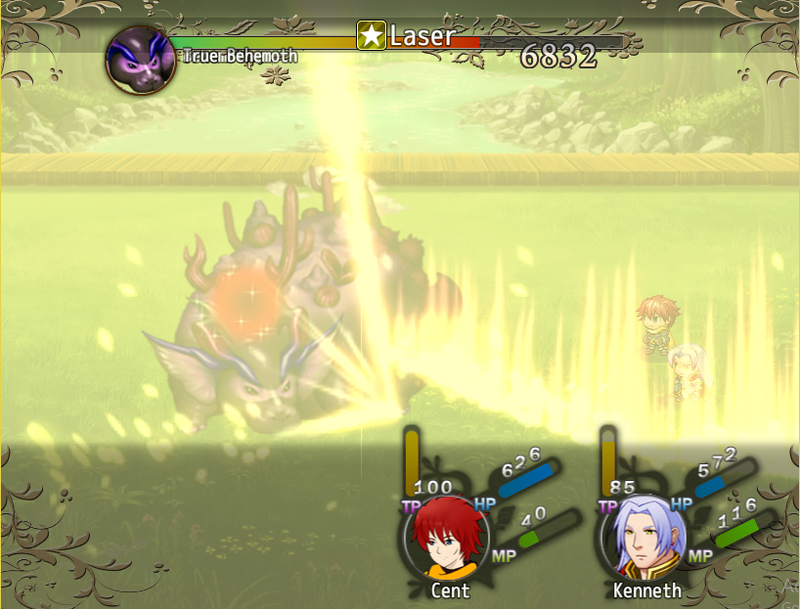 Tp is used in the game when facing the behemoth. Cent unlock his tp skill. I'm quite proud of that battle arrangement and my bug prevent people to access it. I'll fix it ASAP.